After a few months of polite prodding, the internet finally gave us what we were looking for. Dropped into our lap, almost as if by divine intervention, we found our car. While cruising the local SCCA region's forum, we noticed a little red two-seater for sale that fit all of our requirements, and most importantly, the price was right. 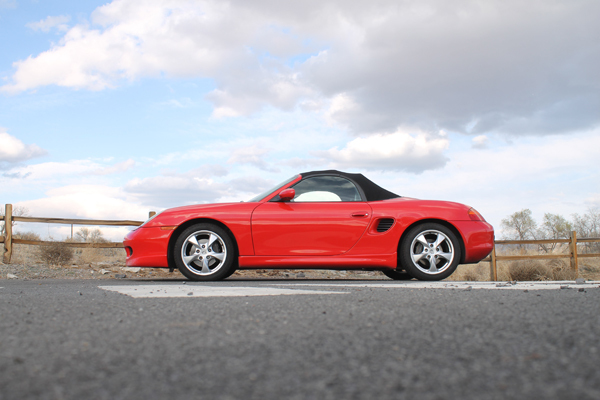 It was a 1997 model with a 5-speed (You didn't think we'd settle for a tiptronic, did you?) having traveled 107,000 miles. 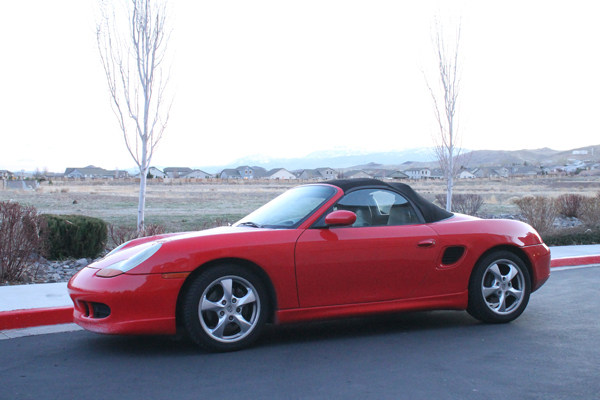 Everything looked on the up-and-up, so we contacted the owner and scheduled a test drive. The car had been for sale for a handful of months, and the asking price had steadily dropped from $10,500 last summer down to $8,500 in the full throes of winter. The car came highly regarded by a handful of other local car enthusiasts that had driven it. 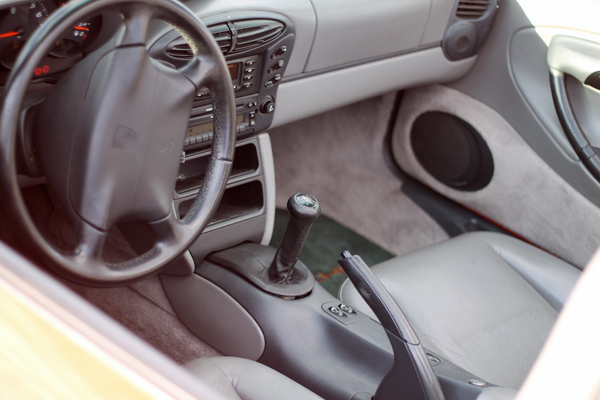 When we saw the car, it was obvious that the exterior had seen better days, but it was endowed with a stunningly immaculate interior, and a sparkling mechanical history. 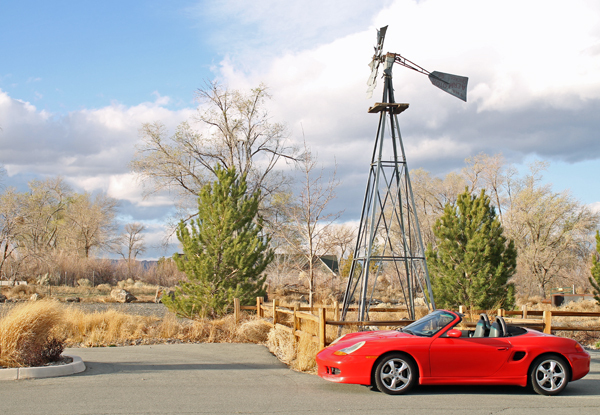 When we returned from the test drive, we were sold on the concept of a Boxster, but were still unsure of this Boxster. What kind of maintenance would it need? What about the intermediate shaft bearing? 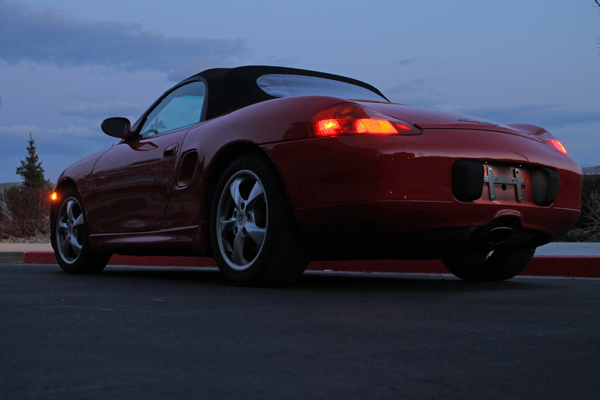 What about the issues inherent with a high-mileage Porsche? All of that uneasiness was erased when the seller produced a prodigious stack of receipts for recent repair work. 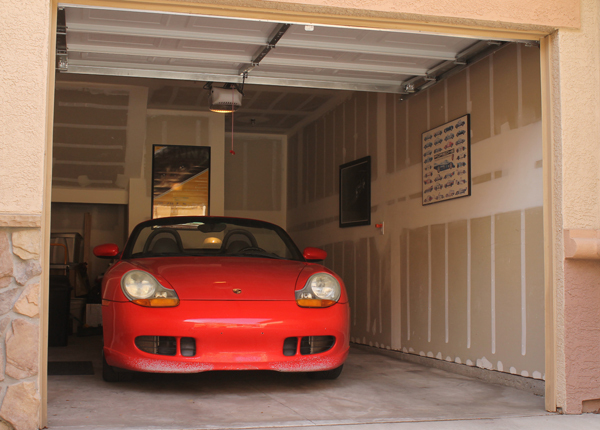 Within the previous 5000 miles, the car had received a new power steering rack and pump, water pump, flywheel, clutch, a set of new-ish Sumitomo tires, and soft convertible top. Most crucially, though, was the IMS bearing, which had been replaced with an upgraded ceramic unit from LN Engineering. We were almost instantly convinced that this was our car. It was clear that the car had been well cared for, at least by the owner previous to us. Many of the common failure points had already been addressed, and we would be starting with a near-perfect car. If you do decide to get a Boxster of your own, be sure to pick up a copy of Wayne Dempsey's 101 Projects book , and a Bentley service manual . We've got both, and they've saved our bacon already, more times than we can count. Both books are well written, include great pictures, and make a complex German sports car into something that any layman can easily repair or modify on their own. I’ll do an exhaust and an intake, but I don’t think I’ll go much beyond that. I actually like the power level right where it is, as it promotes “momentum” driving.